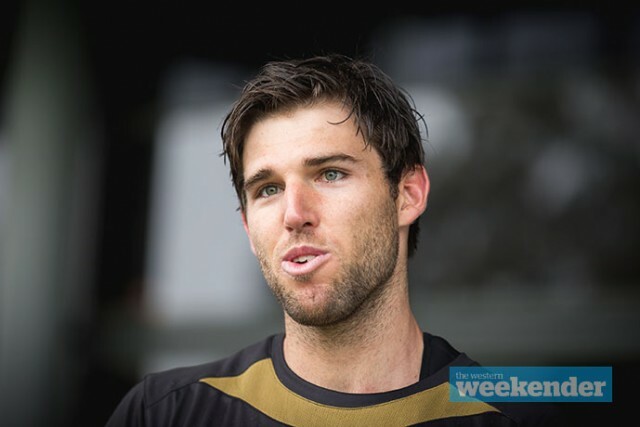 It’s been an eye opening first month of pre-season training for Penrith Panthers AFL convert Josh Hall, who has not only spent the last four weeks trying to fit in, but also learn the game. The former Gold Coast Suns ruckman is the club’s latest ‘project player’, following in the footsteps of Fijian hotel porter turned NRL winger Eto Nabuli, who had a stint at Penrith in 2013. 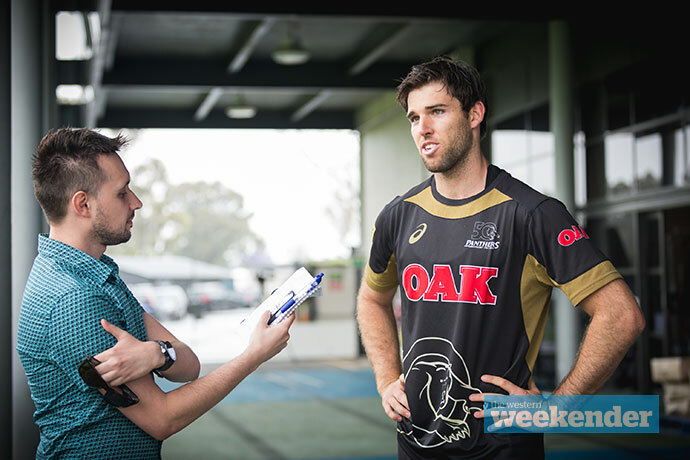 Speaking with the Weekender, the 25-year-old opened up about the challenges of switching from AFL to the NRL. “It’s been tough initially trying to fit in, I’ve been worried about making mistakes and that kind of stuff,” Hall said. Having grown up playing junior rugby league as a kid in Townsville, Hall was also a champion high jumper with aspirations of one day representing Australia at an Olympic Games. However, after he was overlooked for the 2010 Australian Commonwealth Games team, Hall decided to take a break from athletics and focus on his degree. As part of his sports science studies, Hall attended training at the Townsville City Lions AFL club and quickly fell in love with the sport. Soon after, Hall joined a local team in the Townsville AFL competition where, after just four games, he attracted the attention of a Gold Coast Suns scout. Playing as a ruckman, Hall was drafted 94th in the 2012 AFL Draft by the Suns and, during his short career, ended up playing just seven senior AFL games before switching to league and signing with the Panthers back in September. “I grew up in Townsville watching the Cowboys play and also had a dream of playing league at a high level,” Hall said. “I was getting a bit stale with AFL of late and Gus (Phil Gould) got in touch with me about making the switch, so I jumped at the opportunity. Due to his height of 198cm – the tallest at the club – Hall is primed to play on the wing for Penrith’s NSW Cup team in 2016. To assist Hall in his dream of making it in rugby league, he’s receiving expert advice from two of Penrith’s best including new specialist coach David Simmons and young gun Dallin Watene-Zelezniak.